I recently attended a panel discussion organized by Ryerson University’s Legal Innovation Zone (LIZ) on “Legal Tech and the Future Impact of Artificial Intelligence.” The event featured Andrew Aruda, CEO and Co-Founder ROSS Intelligence, Matt Gillis, President at Neota Logic Inc, and Hersh Perlis, Director of LIZ. One of the participants asked the now familiar question when discussing the implications of artificial intelligence (AI) for the practice of law: does AI mean the end of lawyers? The panel unanimously answered no, observing that lawyers will always be needed to interpret the information provided. AI is about easily retrieving information, allowing lawyers to do their jobs better, improving access to law and justice, and making law more accessible. I agree with all of these points. However, I think that in addition to enabling lawyers to work more efficiently and non-lawyers to gain better access to the law, AI provides a real opportunity for lawyers. As most lawyers are very aware, the practice of law is changing, and has been for many years. The commoditization of law, in particular, is not a new topic. Several years have passed since commentator Richard Susskind began talking about the fragmentation of law into bespoke legal work and routine or commoditized work. Many clients are increasingly frustrated when asked to pay high hourly rates for routine legal work. The value of such work appears to be diminishing. AI may provide lawyers with a way to respond to this growing division in legal work. Law firms seeking to increase efficiency, reduce costs, or add value for clients should consider the many forms of AI available, including e-discovery, contract management, due diligence and contract analysis, legal research, document automation, and self-service compliance platforms. 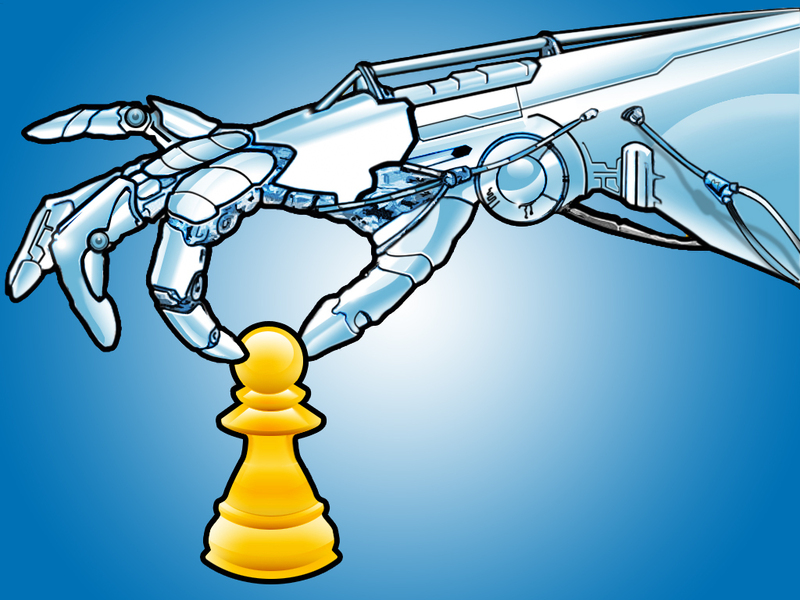 If you are interested, I would suggest reading Michael Mills’ excellent series on “the state of play” of AI in the legal profession. In this post, I am going to focus on self-service compliance platforms or other types of on-line legal services. Getting back to the Ryerson event, Matt Gillis explained how Neota Logic helps lawyers create databases that automate their expertise into an accessible format and make it available on demand. Basically, Neota Logic adds scale and a “self serve” feature to repetitive legal work. For example, Norton Rose Fulbright offers ContractorCheck, which helps clients and potential clients determine whether their new hire is an employee or an independent contractor through a series of yes or no questions. Users are provided with a final report, which suggests that they contact a Norton Rose lawyer for additional advice. Gillis zeroed in on a seemingly obvious benefit – the potential for law firms to profit from a service that answers fairly routine queries. And as I have noted, clients increasingly have little interest in paying high legal fees to have these basic kinds of questions answered anyway. Summing up, a real opportunity to continue to profit from what has often been termed legal commodity work seems to exist. Yet, apart from a few large law firms that have dived into the area, we are not seeing many law firms offering such services. Why not? Many lawyers still pride themselves on doing, almost exclusively, work that cannot be distilled down to a relatively simple question and answer format. While it is true that lawyers often are asked to apply their knowledge and expertise to unique issues, at least some routine components usually arise within even the most complex practice areas. Providing easy access to these routine questions can, in turn, drive additional bespoke work to lawyers. For any of these legal self-serve offerings to truly add value, obtaining input from lawyers and capturing their expertise is a must. And, this does take time no matter how seemingly simple the underlying platform appears to be. That said, one could argue that lawyers cannot afford not to put in the time, as clients continue to seek out alternative service delivery models and competition among firms increases. I would also note that once lawyers put in the time, they can continue to see the benefits, while committing far fewer resources to maintaining the site. We all know that lawyers tend to be risk averse and skeptical. (Frankly, as a typical lawyer, I also exhibit these traits from time to time.) But the time for waiting seems to be over. Law firms that delay moving forward on AI solutions may find that they have been “leapfrogged” by other service providers or in-house counsel willing to take the initiative. While we are still in the early days of AI, it is already clear that AI will have a significant impact on the practice of law. Whether that impact is positive or negative likely will be determined by decisions law firms make today.